As the US goes ahead with its plan to increase duties on certain steel and aluminium products, it is put a burden on $241 million on India. The raise in tariffs proposed by New Delhi is likely to cancel out the implications of the US tariff hike. As the Trump administration faces flak for slapping tariff hikes on steel and aluminium imports, India has decided to retaliate by increasing import duties on 30 products from the United States. The list of items that will see an increase in import duties included motorcycles, almonds, apples among others. Importing motorcycles with engines bigger than 800 cc will attract 50 per cent of import duty, and apples will see duty charged at 25 per cent, according to a report by The Economic Times. The import duty will be 20 per cent in case of almonds and walnuts, the report added. 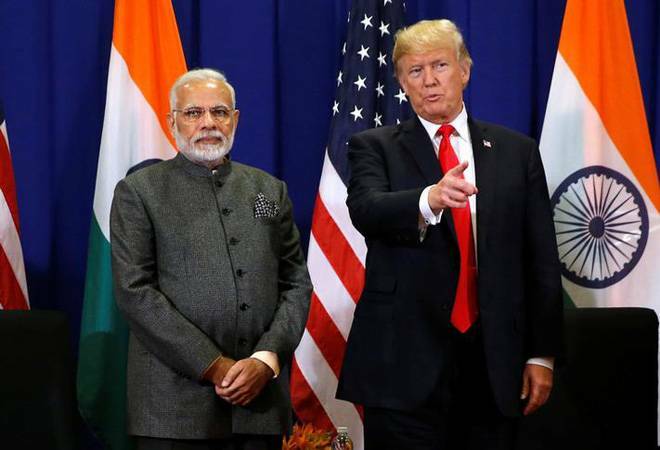 India has already informed the World Trade Organisation (WTO) of the decision to suspend concessions to the US earlier this week. The collection from the decision is expected to be in the neighbourhood of $238.09 million. This will reportedly be the first time that India has imposed retaliatory import duties. The higher revised import duties will be put into effect from June 21. "The US would be collecting USD 241 million worth of duties by hiking tariffs on certain steel and aluminium items from India, we also proposed to withdraw concessions of similar amount from these 30 products imported by India from the US," a source said. India has also dragged the US to the World Trade Organisations dispute settlement mechanism over the imposition of import duties on steel and aluminium. India's exports of steel and aluminium products to America stood at about USD 1.5 billion every year. Its exports to the US in 2016-17 stood at USD 42.21 billion, while imports were USD 22.3 billion.